With just two weeks to the unveiling of ST Car of the Year 2018, three cars are leading the race in a readers' online poll. Out of nearly 42,000 votes cast as of 5pm yesterday, about 50 per cent were for the Volvo XC40. The Renault Megane RS followed with more than 33 per cent of the votes and the Suzuki Swift with close to 14 per cent. The Volvo XC40 was named Japan's Car of the Year 2018 earlier this week. It is very rare for a non-Japanese car to win the honours. The last time this happened was in 2014, when the Volkswagen Golf clinched the title. The XC40 follows an exquisitely designed line-up of SUVs from Volvo. The T5 comes with all-wheel-drive, an off-road drive mode and a respectable wading depth of 450mm. The Swift has very lovable styling. At the wheel, it is the most driveable 1-litre in town. It has a roomy cabin and an extremely competitive price tag. The Megane RS, on the other hand, speaks to the driving enthusiast. This performance variant of the Megane makes the best of a relatively modest power plant (1.8-litre turbo). For good measure, it has a jaw-dropping design. Take our poll: Which car do you think should be the ST Car of the Year? The judges are still going through the cars in the line-up and comparing each with its peers to decide how it scores on various crucial qualities. Some are arranging refresher test drives before ticking the various boxes on a scorecard. 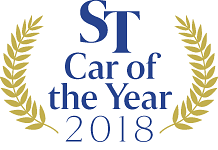 The car that scores the highest will be named ST Car of the Year 2018. The current shortlist of 10 nominees is distilled from a longer list. At the start, about 50 all-new models launched by authorised agents between mid-November last year and mid-November this year were considered. The readers' poll will be extended to noon, Friday. Which car do you think should be crowned The Straits Times Car of the Year 2018?